© 2013 Me. All rights reserved. 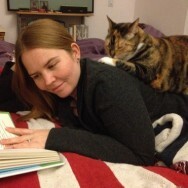 My wife reading while our cat gets comfortable.